Shopping for a new Volvo XC90? If it were our money, we’d start with a Volvo XC90 T6 Momentum with the Momentum Plus package and wouldn’t stray far from there. The 2018 Volvo XC90 luxury crossover SUV can rightly be credited for vaulting the automaker back into the American mainstream. With seating for up to seven in beautifully rendered confines, the XC90 can even cost less than most of its competitors. The 2018 XC90 stands pat from last year—nothing has changed. It’s available in Momentum, R-Design, Inscription, and Excellence trim levels that run the spectrum from sub-$50,000 to more than $100,000. 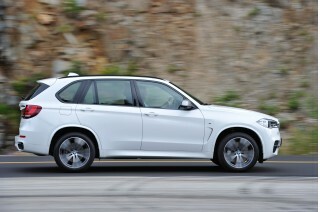 Its base powertrain in T5 versions is a turbo-4 that makes 250 horsepower and can drive the front or all four wheels. It’s not short on power, but it doesn’t have much to spare. The next stop up is the T6 with a supercharged, turbocharged inline-4 that makes 316 hp. It’s all-wheel drive only, and it’s more of a match for the XC90’s 4,500-pound heft. Despite the engine’s complexity, it’s capable and quiet—and almost as fuel-efficient as the base version. At the top of the powertrain pile, the T8 plug-in hybrid variants team a 10.4-kwh lithium-ion battery pack and electric motors to the T6 engine for a total system output of 400 hp. Not only are T8 hybrids the most efficient, they’re also the quickest. Regardless of engine, the XC90 uses a smooth-shifting 8-speed automatic that prefers lower revs for better fuel economy. Inside, the XC90 is dressed to impress with luxurious materials and a design sensibility that could have only come from the Swedes. The front seats are the best seats, although row two and three aren’t bad for adults either. We’ll admit that we’re not in love with the XC90’s interior like we once were, but we’re happy to settle into the relationship for the long haul anyway. Volvo’s safety systems shouldn’t be overlooked, they’re among the best in the biz. Along with top-tier crash-test scores, the XC90 comes equipped with a comprehensive and impressive set of advanced safety features that include blind-spot monitors, active lane control, adaptive cruise control, and Pilot Assist, a semi-self-driving program that can operate for short distances without driver input. Many other automakers offer a similar system, and nearly all of them charge dearly for it. Along with impressive standard safety features, the XC90 bundles a long list of standard features that make the crossover competitive among its rivals. Base XC90s come equipped with a power tailgate, four-zone automatic climate control, power adjustable front seats, synthetic leather upholstery, advanced safety features (we cover those separately), a leather-wrapped steering wheel, an 8.0-inch driver information cluster, 18-inch wheels, and a vertically oriented 9.0-inch touchscreen for infotainment that includes navigation and Apple CarPlay compatibility. The Volvo XC90 is wildly simple and beautiful, Swedish design at its best. The Volvo XC90 is Euro to the bone, by our eyes. It’s a big frame in small clothes that pulls off its skinny-jeans look like a pro. Visually it reads smaller than it is, and much less than its 2.5-ton weight would indicate. We should all be so lucky. Starting from the outside, the XC90 set the table for other crossovers that have arrived from Volvo. The XC90 pushes its wheels toward the corners and its engine is set further back under the hood, which gives the crossover a long nose and rear-wheel drive proportions. Its windshield isn’t as steeply raked as other crossovers, but the XC90’s tail is aerodynamically sculpted to leave the wind neatly behind it. The XC90 pulls off the right proportion of glass to sheet metal, which is to say, it has enough of both for good outward vision. The cabin is dominated by a 9.0-inch touchscreen in the center of the dash that’s vertically oriented like a tablet computer. Few automakers aside from Tesla and Volvo opt for this orientation and we’re not sure why. Aside from the functionality of having less “dead” space, the vertical orientation brings the dash together in from the sides in an elegant V-shape. Flanked by the touchscreen are carefully crafted metal or wood trim pieces that wouldn’t be out of place at Scandinavian design centers. Because of course not. A trio of turbocharged inline-4s power the Volvo XC90, including a plug-in hybrid variant. The 2018 Volvo XC90 relies on a 2.0-liter turbo-4 and 8-speed automatic in all three of its powertrain configurations, although each application is significantly different. All-wheel drive is optional on base T5 versions, but standard on T6 and T8 variants. 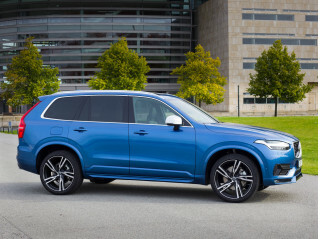 Base XC90s in T5 configuration are powered by a 2.0-liter turbo-4 that makes 250 horsepower and 258 pound-feet of torque. It’s enough power for the big, 4,500-pound crossover—but not by much. Front-wheel drive is standard, although all-wheel drive is optional. According to Volvo, the base engine is rated to tow up to 5,200 pounds, although we’d hesitate to hitch up our 22-foot Bayliner just yet. The T5’s torque comes on low, at just 1,500 rpm, but doesn’t stay for long and passing on mountain highways can be indecisive. For most applications, the uprated T6 engine will be good enough to solve both problems. It adds a supercharger to the already turbocharged 2.0-liter inline-4 for a complex, but meaty, 316 hp and 295 lb-ft of torque. It’s a $5,000 option at the Momentum trim level, and standard everywhere else. Although we’re still wrapping our heads around the mechanical voodoo that it casts to extract that much power from a busy 2.0-liter, the T6 engine is plenty powerful and mostly refined for our tastes. 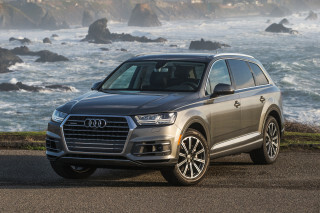 It’s paired exclusively with all-wheel drive and is rated to tow 5,200 pounds. Regardless of powertrain, the XC90 handles like a smaller car—a good thing. The feedback provided through the electric power assist rack-and-pinion steering setup is remarkably natural and we’ve found that it feels almost like the real thing. The XC90 has limited body roll in spite of its tall stature and 9.3 inches of ground clearance. In most versions, drivers can select among drive programs that include Comfort, Eco, Dynamic, Off Road, and a customized program. Each program controls shift points, throttle sensitivity, and steering heft, although we found Comfort to be suitable for most daily drives. The T8 gets its own drive programs that includes Hybrid, Power, Pure, and Comfort modes. Hybrid mode runs on electricity alone at lower speeds where possible and maximizes efficiency at higher speeds with a mix of both engine and electric power. Power mode turns the wick up for maximum torque at all wheels for breathtaking speed—especially from a stop. Pure locks in the all-electric drive until the battery is depleted; Save does the opposite by not only saving the battery’s charge state, but recharging it with the engine up to 42 percent. Comfortable and quiet, the 2018 Volvo XC90 is great at first impressions. We still like it, but others in the class hold up better over time. The 2018 Volvo XC90 is impressive for buyers new to the Swedish automaker. 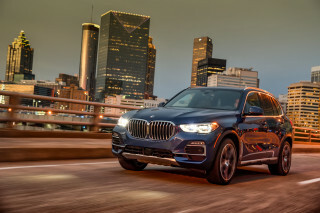 It has largely succeeded in bringing new shoppers into the fold and it signaled a new era for the automaker after languishing for several years. The XC90 impresses upon entry with its interior that includes (on most trims) stitched leather, real wood, and crafted controls that read with a pleasant mix of upscale old-world luxury and modern. Volvo said it spent years developing its front seats and our backsides are likely to agree. The front chairs are all-day comfortable, and we’ve found it easy to find a suitable driving position regardless of body type. The Volvo XC90 affords good outward vision for most of its passengers thanks to abundant glass and “stadium-style” seating that elevates the second and third rows higher. Second-row seats will be fine for adults, if not completely opulent in Excellence trim. They’re not as comfortable as some rivals’ seats, but the XC90’s seats slide fore and aft to provide better leg room for second- and third-row passengers as needed. Up and down, the XC90 has high-quality materials and craftsmanship befitting the luxury brand. Small touches like Swedish flag tabs in the seats and a crystal shifter in Excellence models signal an arrival for Volvo has a high-end brand with more promise. The second and third rows (when equipped) fold flat into the floor to offer up to 85.7 cubic feet of cargo room in the XC90. Fold up the second row, and the cargo area shrinks to 41.8 cubes, and with the third row in place it’ll swallow 15.8 cubes of gear. Generally speaking, the interior of the XC90 is quiet, although Inscription and Excellence models add active noise cancellation to quell outside noises further. We’ve found that the XC90 rides just as quiet on 18-inch wheels as it does on big, heavy 22-inches that typically relay plenty of noise into the cabin. Opting for the air suspension (standard on the Excellence trim level) won’t necessarily make for a smoother ride; in repeated drives we couldn’t tell much of a difference between it and the standard steel suspension. The Volvo XC90 is among the safest cars on the road today with an impeccable crash-test score and standard active safety features that are class-leading. The 2018 Volvo XC90 trades on the automaker’s pedigree for building some of the safest vehicles on the road today—and tomorrow. Crash-test scores largely agree, and out of the box the XC90 is equipped with a raft of advanced safety features. Those are complemented by optional add-ons that can pilot the XC90 through heavy traffic (but still require driver attention) or on long jaunts. Federal testers give the XC90 a five-star overall rating for crash safety, including a four-star score in the calculated rollover test. The IIHS largely agrees, but the XC90 hasn't been tested for front passenger protection. The XC90's “Marginal” score in the new headlight rating test also keeps it from a Top Safety Pick award. All XC90s come equipped with a standard complement of seven airbags, including side curtain airbags for rear passengers to protect occupants during a rollover crash. Stability and traction control systems are standard, and a rearview camera is included on all trim levels. Volvo’s suite of advanced safety features is comprehensive and impressive. Included at every trim level are blind-spot monitors, parking sensors, adaptive cruise control, active lane control, forward collision warning with automatic emergency braking (at low or high speeds), road sign recognition, and rear collision mitigation that flashes the rear lights if it detects a car approaching from the rear too quickly. Volvo’s sophisticated self-driving system is called Pilot Assist, but we’d stop short of calling it “autonomous driving.” When engaged, the system will follow lane markings and other cars for short periods of time without driver intervention. The system requires some force on the steering wheel for long distances, but driver attention is a small price to pay for its convenience. Volvo was among the first with their Pilot Assist program, and it doesn’t track as straight through lanes as, say, Audi’s system. But unlike almost every other luxury crossover, Pilot Assist is standard on every Volvo XC90 and shoppers are better for it. The 2018 Volvo XC90 comes well-equipped, even in base versions. Top trims expand the range to rival many luxury cars in amenities—and price. The Volvo XC90 manages to be one of the most handsomely equipped crossovers on the planet, often at thousands below the competition. The base 2018 Volvo XC90 Momentum comes equipped with a power tailgate, four-zone automatic climate control, power adjustable front seats, synthetic leather upholstery, advanced safety features (we cover those separately), a leather-wrapped steering wheel, an 8.0-inch driver information cluster, 18-inch wheels, and a vertically oriented 9.0-inch touchscreen for infotainment that includes navigation and Apple CarPlay compatibility. It starts at $47,895. The XC90 is offered in Momentum, R-Design, Inscription, and Excellence trim levels that start below $50,000 but can reach higher than $100,000 in top versions. 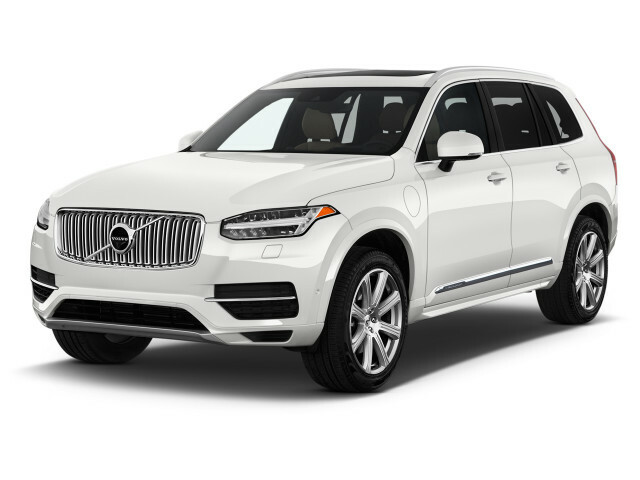 The R-Design trim is a sportier look on the XC90 that includes 20-inch wheels (or optional 22-inch wheels), a blacked-out grille, heated front seats, interior trim accents that include a sportier steering wheel and R-Design kickplates and pedals. The Inscription trim level is where Volvo starts to punch into luxury-car territory. In addition to 20-inch wheels, the Inscription trim level adds a digital instrument cluster, real wood interior surfaces, upgraded audio, nappa leather upholstery, standard all-wheel drive, an uprated engine, and active noise cancellation in the cabin. 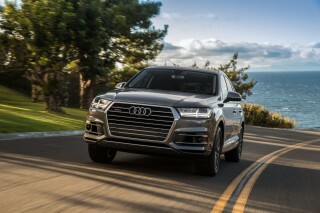 Priced at $60,145, including destination, it offers equipment that would cost thousands more on comparably equipped crossovers from luxury automakers. Volvo XC90 Excellence versions go even further. 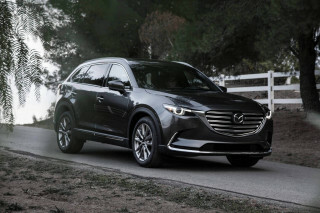 They’re equipped only as plug-in hybrid models with all-wheel drive and include premium audio from Bowers & Wilkins, heated and cooled front- and second-row seating, a beverage cooler, a crystal gearshift, head-up display, 21-inch wheels, air suspension, and panoramic moonroof. 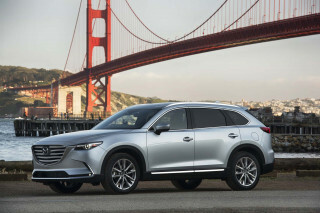 At more than $100,000 to start, it’s a luxury crossover with a price to match. Volvo expects that most XC90s driving off dealer lots will be Momentum variants, available with front- or all-wheel drive. 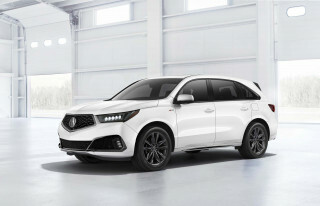 Opting for the uprated T6 engine option in those crossovers adds leather upholstery, a third row for seating, standard all-wheel drive, and popular equipment packages that can add more active safety features or tonier interior accents such as birch wood and interior lighting. Volvo makes few options available outside packages, including a Bowers & Wilkins audio system that loads the XC90 up with 11 speakers, including a subwoofer, for rich sounds that rival any concert hall. At $3,200, it’s hardly inexpensive, but it’s one of our favorite sound systems available today. Volvo’s infotainment system, called Sensus, has earned praise from our critics as being one of the most functional—and prettiest—systems equipped in new cars today. The screen’s vertical orientation is a departure from most other automakers, and offers a new approach for most users. The menu-heavy system may take a while to learn, but our editors have reported that with enough initial fiddling the system is intuitive and responsive. Most XC90s will be equipped with Apple CarPlay compatibility that presents the familiar interface as a menu within the screen, making other functions usable while CarPlay is running. The tall, 9.0-inch touchscreen offers natural swiping and pinching functions that will be instantly familiar with smartphone users. Swipe right for a configurable home screen that offers simple controls for commonly used functions, or left for a comprehensive overview of the car’s audio, navigation, and climate controls. Our only criticism is that we’ve noticed in several Volvo cars that the touchscreen can become somewhat warm to the touch during heavy use. Provided you have a light right foot, the 2018 Volvo XC90 can be stingy with fuel for a three-row crossover. For a three-row crossover, the 2018 Volvo XC90 is surprisingly stingy. Most versions will average combined mileage in the mid-20s, although it’s possible to do much better. 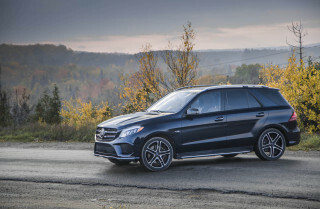 Getting rid of all-wheel drive nets 1 mpg improvements in the highway and combined ratings. Opting for the T6 version, which is all-wheel drive only, drops those figures to 20/27/23 mpg. The Volvo XC90 T8 is at the top of the pile for fuel economy. It pairs a 10.4-kwh battery and electric motor to the inline-4 and can travel up to 13 miles on electricity alone. When the battery is depleted, the plug-in hybrid XC90 is rated at 27 mpg combined. That kind of fuel efficiency is near the top of its class. 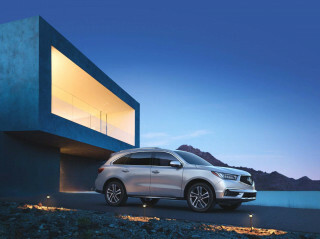 The Audi Q7 is rated at 21 mpg combined and the Acura MDX manages 23 mpg combined, according to the EPA. Can't say enough good about this vehicle. Wonderful to drive, we have nearly 20,000 miles on it in the first year. The car is very smooth and comfortable in all conditions. Seats are first rate and the ride is... Can't say enough good about this vehicle. Wonderful to drive, we have nearly 20,000 miles on it in the first year. The car is very smooth and comfortable in all conditions. Seats are first rate and the ride is near perfect. The handling is amazing for such a large vehicle as well. The infotainment system takes a bit of a learning curve, but works well once you figure it out. The HVAC works seamlessly and always keeps the temperature steady. The many safety features seemed over the top at first, but as we have become acquainted with them we really appreciate them now. When driving in deep snow we have had some proximity sensors go off, but that was because of ice buildup and was easy to clear. Visibility is very good and the 360 degree cameras help as well. I rated performance 4 stars because this is a large vehicle, but it has lots of power and handles exceedingly well for its mass. Every feature you can think of and more are available, but we did not choose them all, again 4 star for what we chose. Fuel economy was not outstanding at first, around 23 to 24 mpg when new, but with more miles and warmer weather we average 26-27 mpg on the road now and 25 overall (not a lot of in city driving), nearly as much as my smaller 2.5 liter Outback. We have driven all over Western Canada and the Pacific Northwest in the winter in deep snow and in the summer in 90+ heat without any real problems and in quiet comfort. We had a warning alarm go off on a ski trip to Idaho indicating the steering was having problems and to park the car. Called Volvo and were directed to turn the car off and restart it, and that cleared it up (like rebooting a computer). They indicated we should take it to a dealer to check it out. The dealer and Volvo USA were great to work with. They checked the car out, found no faults, and returned the car washed and vacuumed. My experience is great customer service whenever we take it in (free oil changes and service for the first 3 years). My new XC90 hit a parking pole when using the Park In feature. I contacted Volvo USA and opened a case. It's been 3 weeks, and still nothing has happened. I have called and emailed numerous customer service... My new XC90 hit a parking pole when using the Park In feature. I contacted Volvo USA and opened a case. It's been 3 weeks, and still nothing has happened. I have called and emailed numerous customer service reps and managers about the issue. They are extremely difficult to get a hold of and do not respond in a timely manner. Their attitude is also in NO WAY customer-centric. All I keep hearing is that everyone is very busy, that there is only 1 Field Tech in the region who can inspect the vehicle and basically I just need to wait until they are free. I talked to 2 managers about the issue, one was more responsive but also not easy to get a hold of, and the 2nd manager's attitude was that that how it is and nothing else can be done. He took no accountability for the poor service provided so far either. In short, if for any reason you have a warranty issue that needs to go through Volvo USA, be prepared to have a horrible customer service experience. It has been so bad, I won't ever get a Volvo again, even though the car itself is quite nice. Shockingly bad service for a luxury car brand. Would give 0 stars if possible.